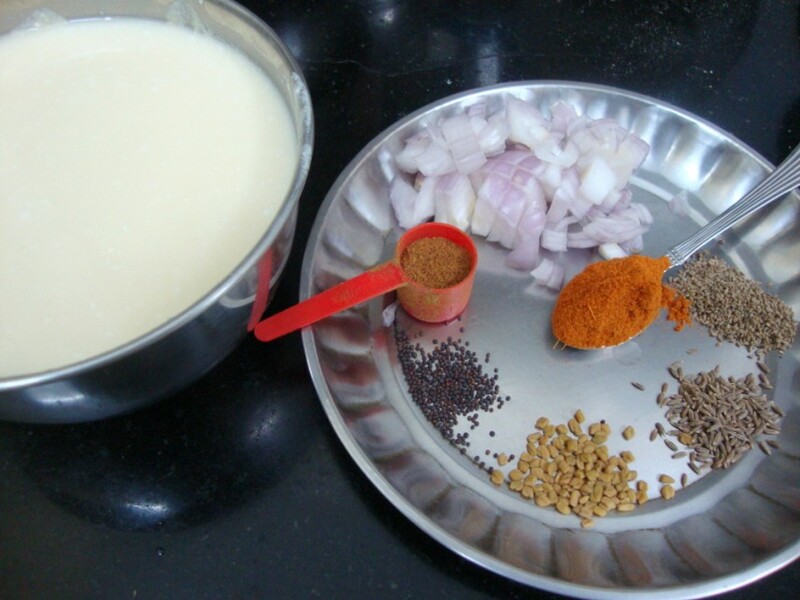 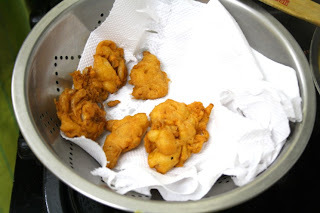 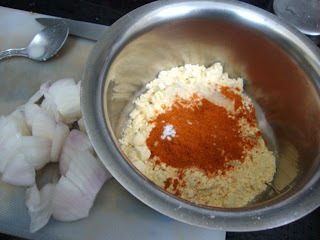 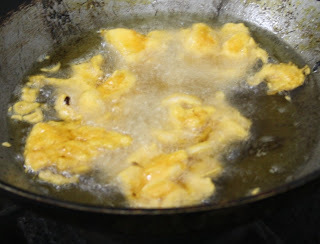 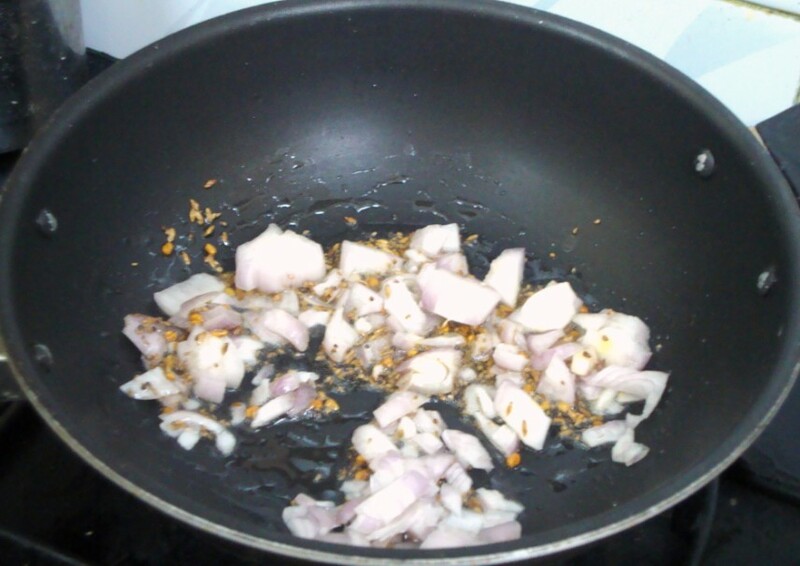 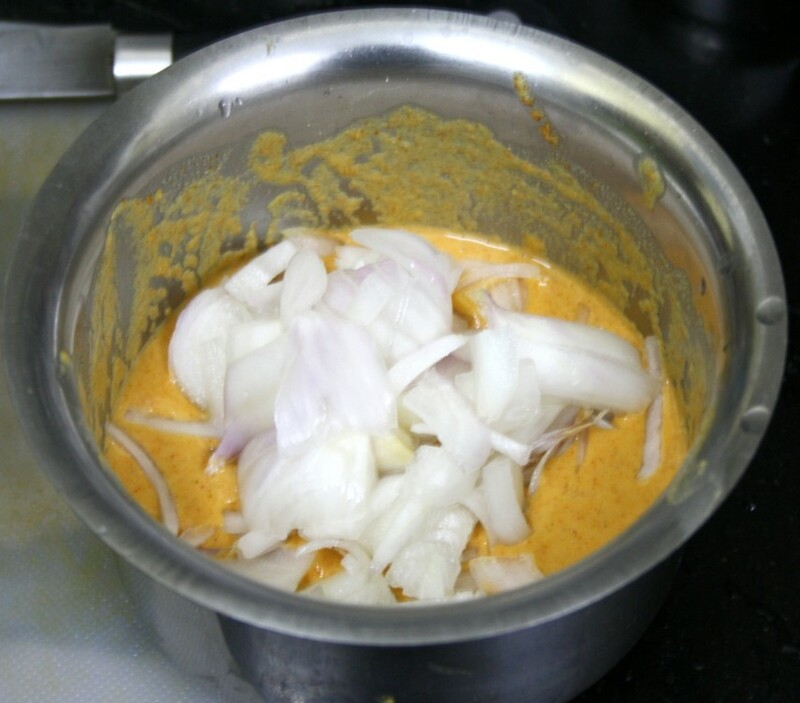 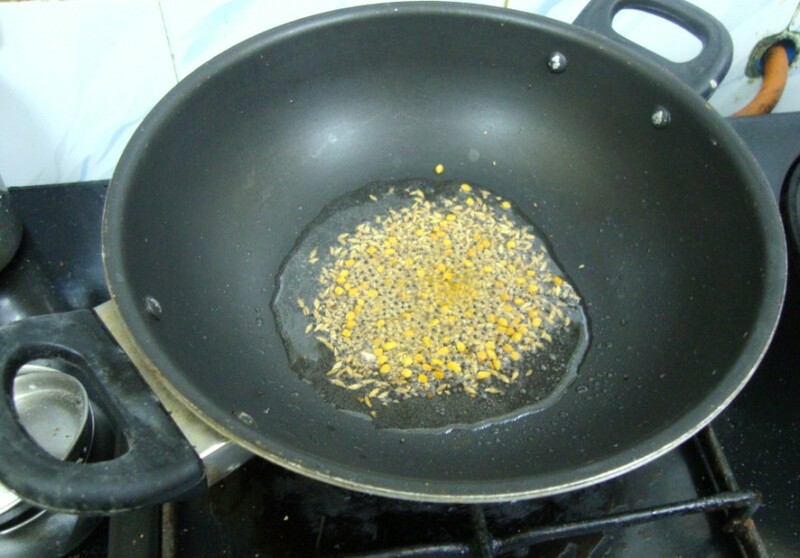 Spice your Life: Punjabi Kadi Pakoras - Indian Cooking Challenge for September ~ Step By Step Recipe! 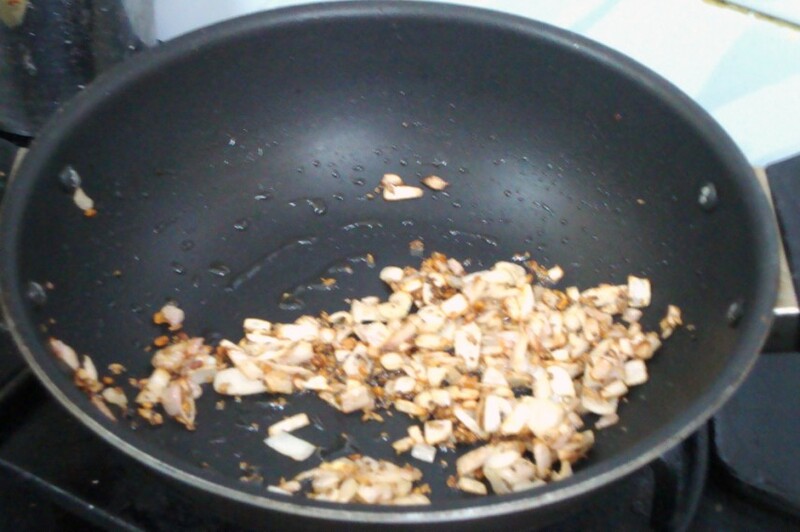 So I pinged Lataji to ask if she has anything in mind. 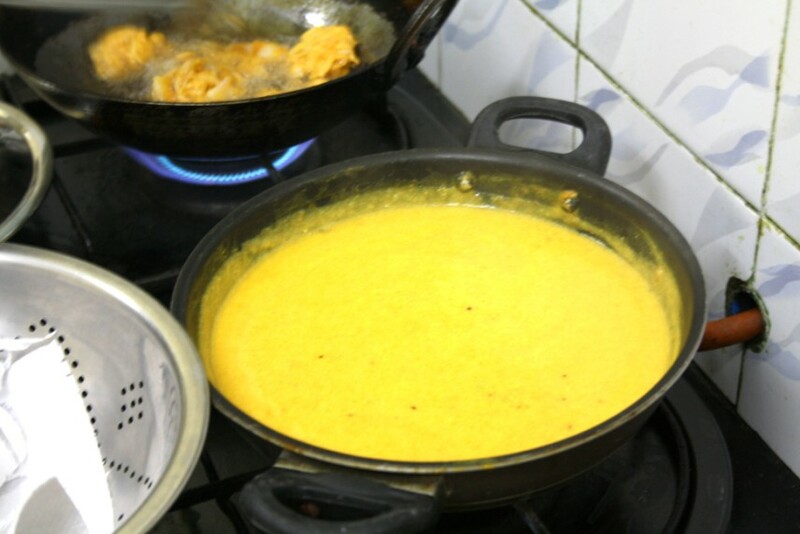 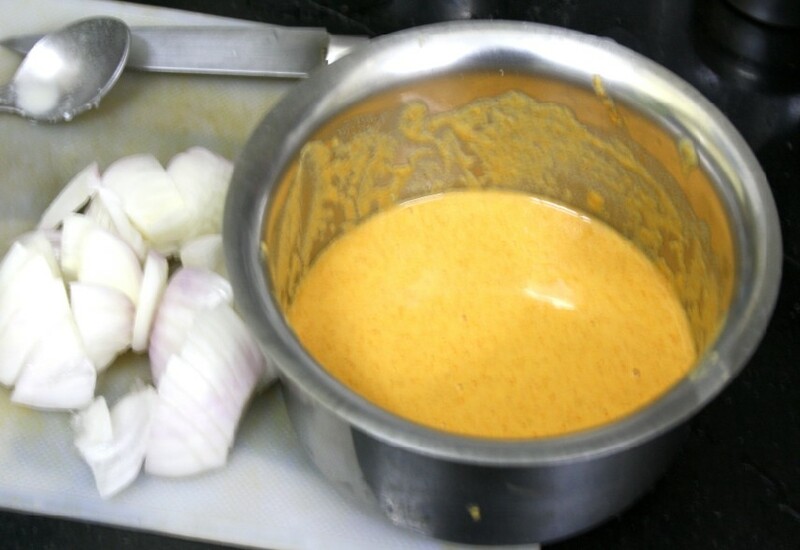 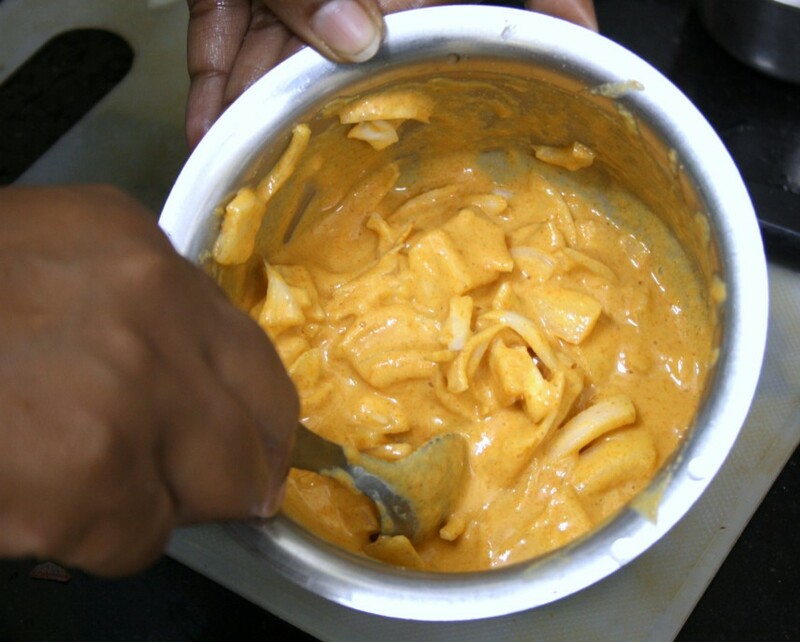 She suggested Khandvi, then when I said why don't we try Kadhi Pakoras, she even searched back her repository and sent a Sanjeev Kapoor's recipe.Then I remembered Simmi and asked her if her Mom has a recipe for this. 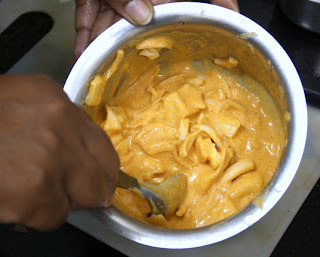 Before I could even ask, Simmi said she has a killer dish! Now that got so much interesting. 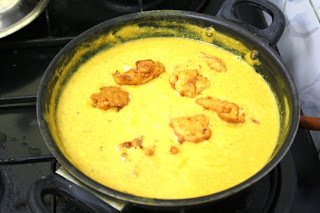 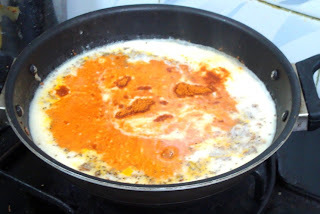 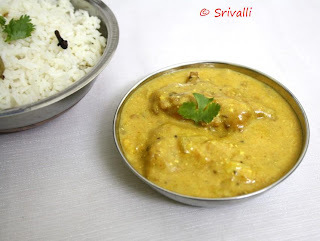 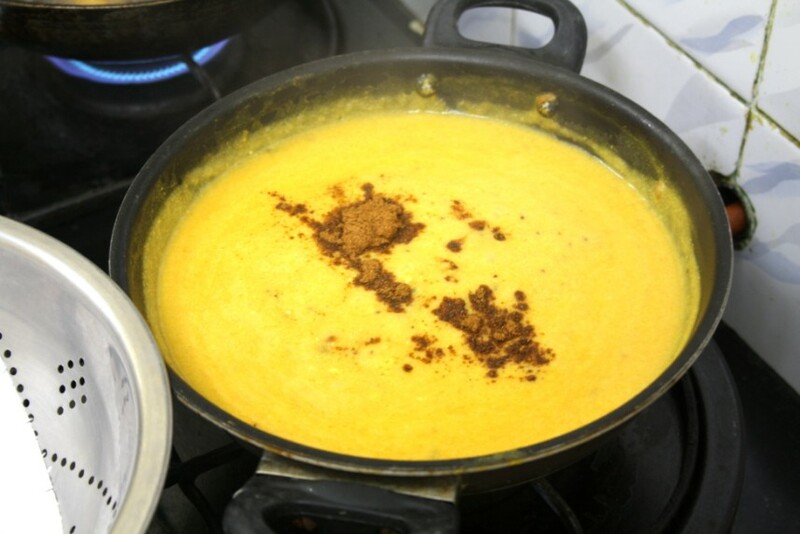 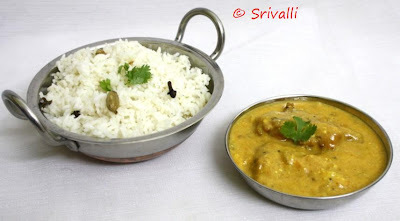 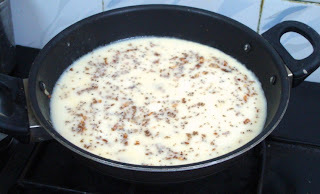 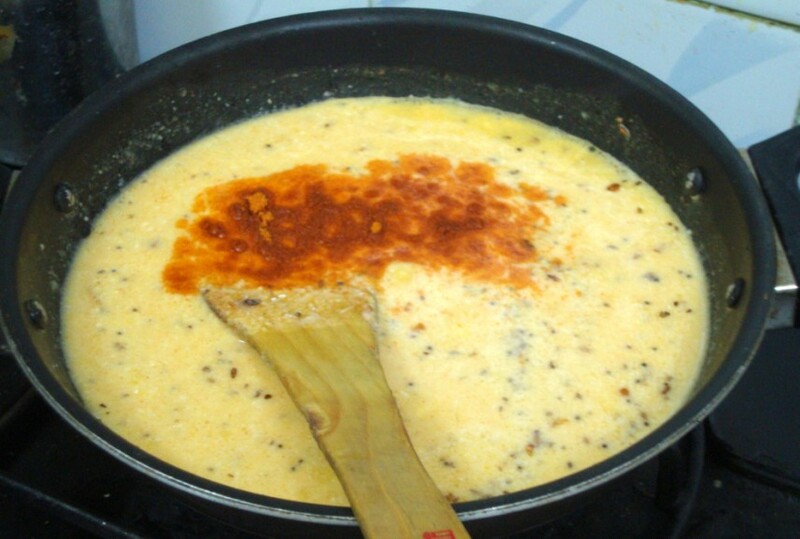 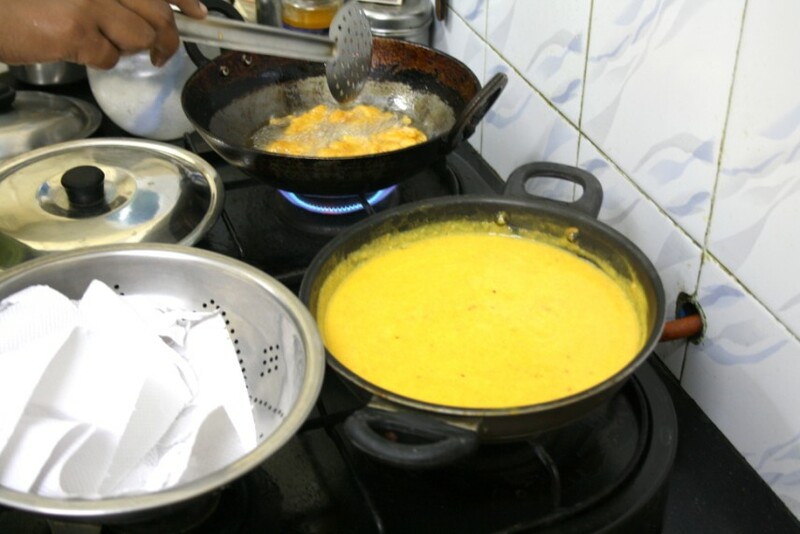 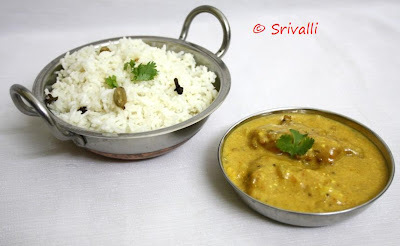 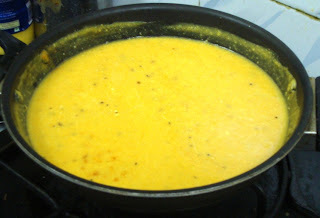 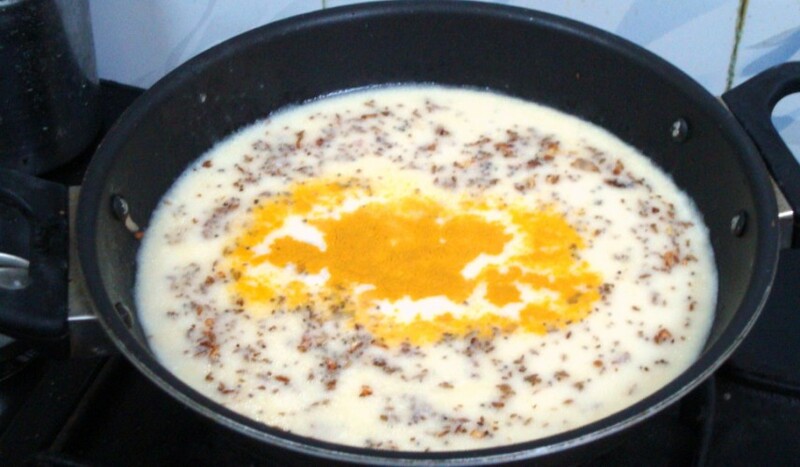 The kadhi has to be fairly thick - if you've had a thin, watery kadhi then it will be the Gujarati version. 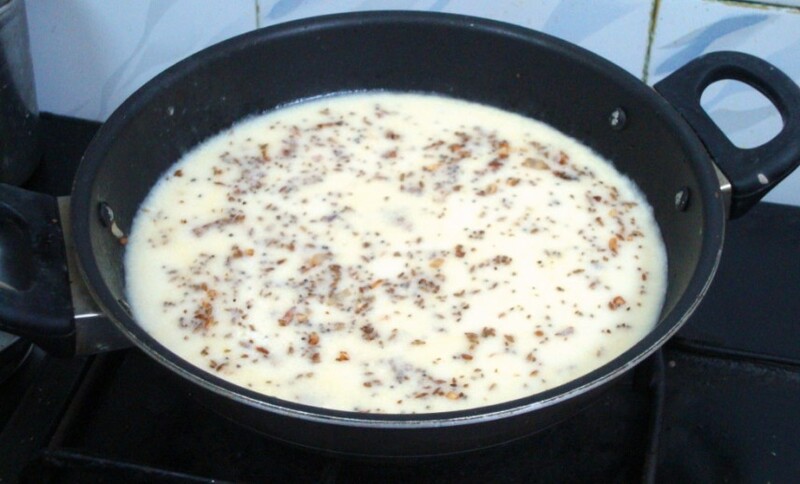 For a hearty Punjabi one,make it thick.